Spring is quickly approaching and with the exception of a few random daffodils and a lot of weeds, my garden is non-existent. Therefore I must buy flowers and pretend I picked them from my garden. 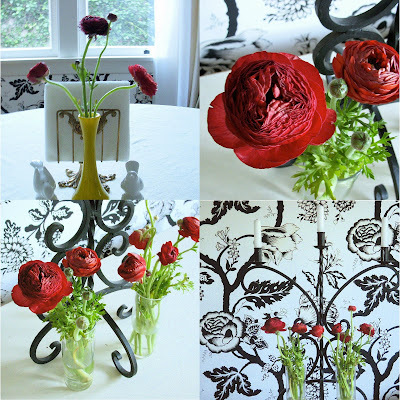 I bought these beautiful ranunculus' for $3.99 at Trader Joe's and divided them up among several small vases in my dining room. A very small splurge makes a very BIG difference.